What the media rarely show about Police officers. “This whole thing is just tragic,” Perok said. The suspect, identified as Ronald Hamilton was being held without bond on charges of capital murder of a police officer, assault with a fire arm and murder in the first degree, according to the Prince William County Adult Detention Center. He is expected to be arraigned Monday morning. The wife of the alleged shooter was killed in the domestic violence incident, according to NBC Washington. The officers were responding to the domestic call when they were shot in Woodbridge, about 20 miles southwest of Washington, D.C. Neighbors reported hearing several rapid gunshots ring out as young people played outside, NBC Washington reported. “I can’t believe this is my neighborhood,” neighbor Saher Jan told the station. The two other officers shot were undergoing treatment Saturday night, Perok said. He added that police were investigating what led up to the shooting, which took place at around 5:30 p.m.
“We ask for everyone’s thoughts and prayers as our department deals with this tragic loss,” the police department said in a statement announcing Guindon’s death. 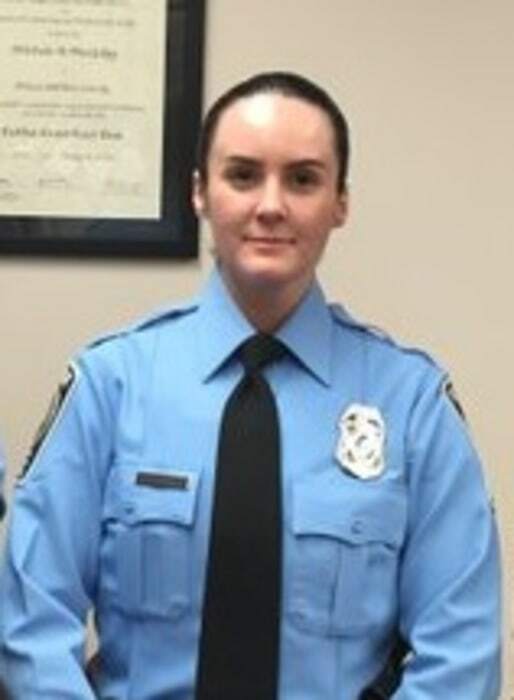 Guindon graduated with a bachelor’s degree in aeronautics from Embry-Riddle Aeronautical University in Daytona Beach, Fla. and served in the U.S. Marine Corps Reserve, according to a press release from the Prince William County Police Department from June 2015, when she graduated from the police basic recruit school. As they continue walking toward Lollie’s kids’ school, another officer—identified in the police report as Bruce Schmidt—approaches them. “What’s going on, brother?” Lollie says to him. “You’re going to go to jail. I’m not your brother, I’m not here to argue with you. Put your hands behind your back,” Officer Schmidt replies. Then Lollie drops his phone as the officer grabs him, causing the video to cut out. The audio continues, though: You can hear Lollie screaming for help, the sound of a stun gun charging up, and Lollie pleading “That’s my kids right there! My kids are right there!” as he’s being cuffed.